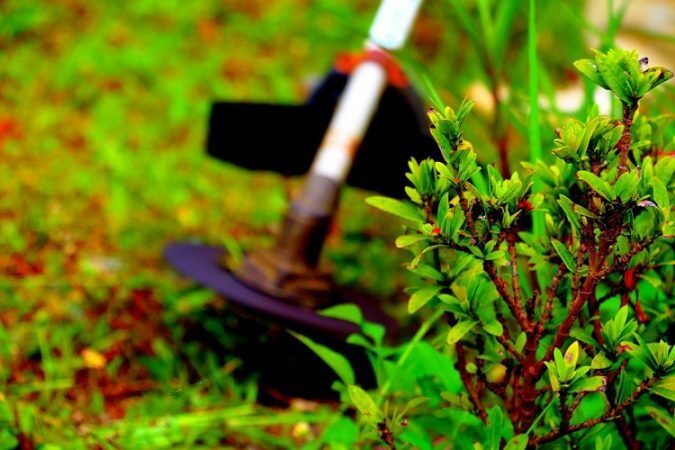 It's important that you have an efficient trimming tool when you want to ensure the proper maintenance of your lawn. 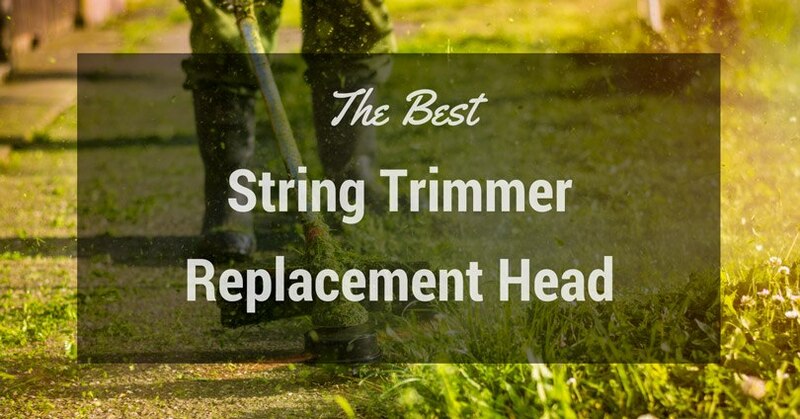 One of the best trimming tools there is a string trimmer. These have a string trimmer line that does the job of trimming as it makes contact with the grass. 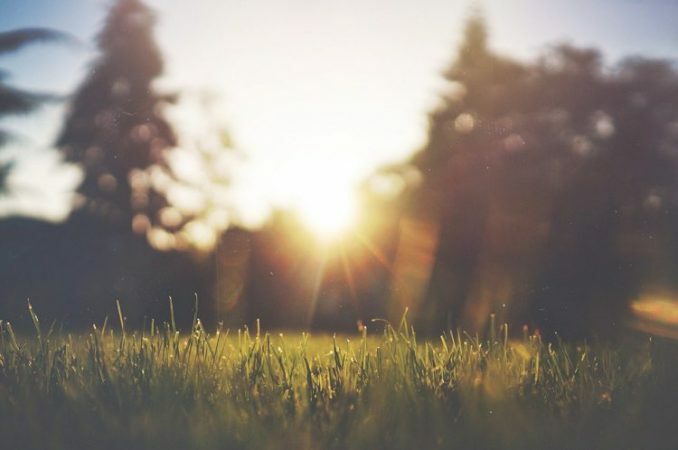 In this article, we're going to show you the best string trimmer lines to make your lawn maintenance job easier. 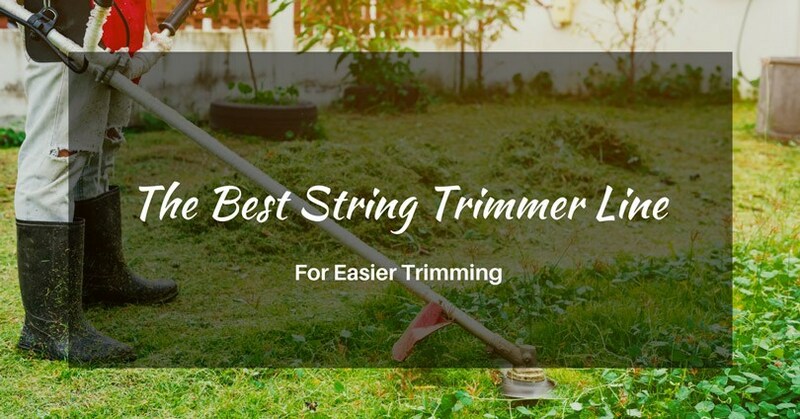 What Are The Different Types Of String Trimmer Lines? Round trimmer lines are among the most popular types of trimmer lines because of it being used by a lot of people. This is what you need if you're going to use it for your own home. It's a great trimmer line for light work. It's also best if you get this one if it's your first time to replace your string trimmer line. It's because it's fairly easy to install this, compared to the other types. A multi-sided trimmer line features multiple-side cutting design. It’s this design that gives your lawn a cleaner cut when you use this one. It’s effective in slicing through thick weeds and long grass. 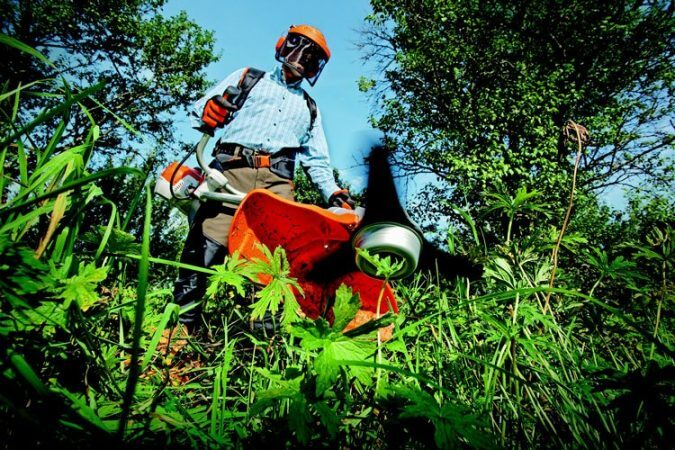 Though they’re powerful trimmers, the chance that they’re going to break is higher. It’s because they’re more likely to come in contact with curbs, stones, fences, and solid ground objects. Then there’s the serrated trimmer line. It features a teeth-like or knife-like design. It’s this serrated line design that makes this swiftly trim grass and thick leaves. 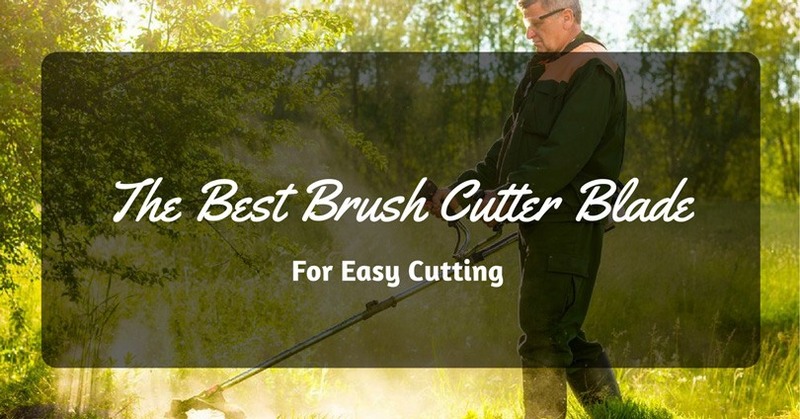 It’s also a great choice to choose this one if you’re going to trim thick leaves and weeds. 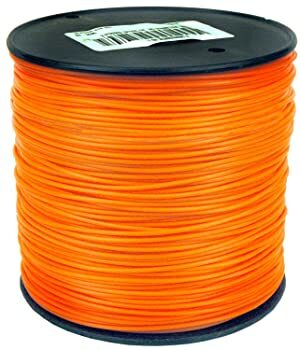 The twisted trimmer line type is what you need if you want to reduce the noise levels of your string trimmer. It's the most durable type as this can take a lot of beating. It doesn't matter if it hits concrete or other hard surfaces because it's built to absorb those kinds of impact. 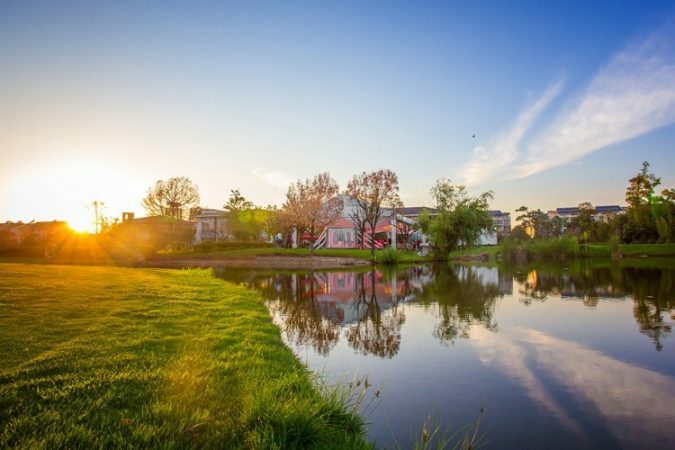 What Are The Things You Need To Consider When Choosing One? The first thing you need to consider is the brand of the string trimmer line. It's in knowing the brand that you can grasp if it's going to last long or if it wouldn't. Make sure that the maker of the brand is reputable and has been in the business for years. You need to know your purpose when you're choosing a string trimmer line. You don't just go out there and pick whatever type of string trimmer line you want. Know your purpose and where you're going to use it. It's through this that you can know the perfect type of string trimmer line you need to have. Then there's the price consideration. There are a lot of affordable string trimmer line sold that have similar features with the more expensive brands. This means that price does not equate to quality. Make sure that the material it's made of is of high quality. There are string trimmer lines that are made of cheap materials that easily break off when it hits hard objects. Refrain from buying this one. Touching the lines itself lets you feel its texture and lets you know if it's going to last long. 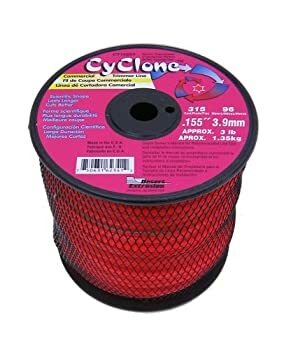 The Cyclone Commercial Grade Grass Trimmer Line is made from a special copolymer material formulation that gives it added reinforced strength. This enables it to take on commercial grade cutting usage. It features its proprietary 6-bladed shape that adds cutting power. 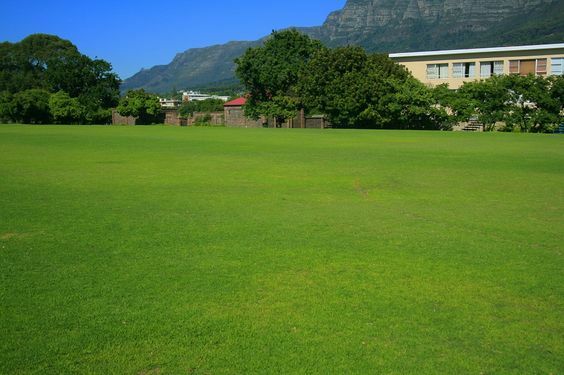 If you want to landscape your lawn, then this might be a good choice for you. It has a measurement of 0.065 inches by 300 feet. It’s an excellent way to improve your string trimmer’s efficiency because it makes it trim grass faster. The string lines can easily cut through thick weeds. It's got inconsistency regarding its performance. Sometimes it works great, and sometimes, it loses its functional efficiency. It is quite annoying to pull out the string by hand regularly. 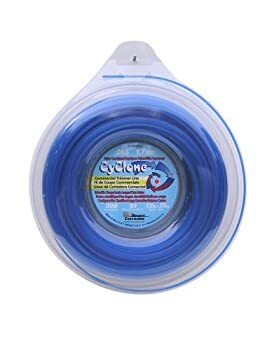 The Cyclone Commercial Trimmer Line is another one you might want to get. This is what you need if you are into landscaping because of the level of precision it has in trimming grass. This just proves that Cyclone is a leading maker of trimmer lines as another of its product made it to our top five lines. It has a measurement of 0.155 inches by 315 feet, making it perfect for 065-inch diameter trimmers. It also has a 6-bladed shape patent on its design that adds extra support. If you've got a high-wheel trimmer, you better get this one because it's designed in a way that fits perfect on these kinds of trimmers. It’s got good quality materials built into its overall construction. The volume of this one is high. You might even use this for an entire lifetime. The lines are too thick. 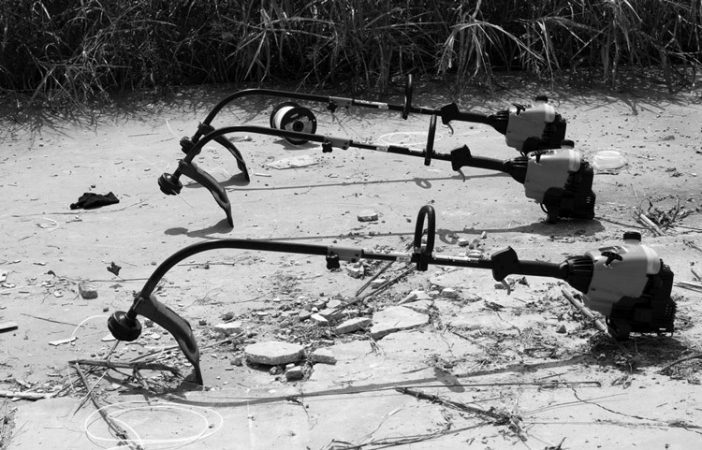 It might have compatibility problems with low-profile string trimmers. 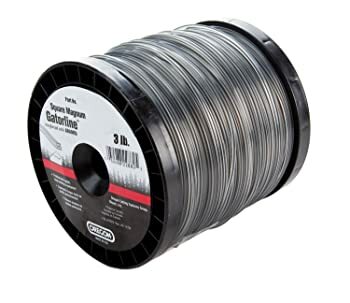 The Maxpower Residential Grade Trimmer Line is another product we highly recommend. This one is specifically made for residential usage. Its line's diameter measures 0.095 inches and has a length of 855 feet, which is more than enough to supply you for an entire lifetime. It weighs a total of 3 pounds equivalent to more than 42 refills. It's made of a high-quality nylon material that assures you that it'll stand the tests of time. It features an orange color for better visibility and safety purposes. It’s a strong trimmer line because it’s made of premium nylon material. It does a great job in trimming thick weeds. You won’t have any problem using this to trim your entire lawn. It can get torn apart if it regularly hits hard objects such as rocks, pavements, or walls. The price is also a bit too high. The Oregon Gatorline Professional Square String Trimmer Line is another high-quality product that we recommend to you. It underwent pressure tests so that its inner core wouldn't easily break. It's a professional-grade trimmer line which assures you that it'll be a durable one. It has a diameter of 0.105 inches which is thick enough to trim even the thickest or strongest of weeds. Its spool reaches up to 538 feet. It has a silver aluminum color design that is made to get the industrial feel. The strings are strong and very durable. They don’t show any signs of deterioration even if they hit solid objects. Its edges are very sharp because it's made of heavy-duty magnum material. This makes trimming easier and faster for you. There's a risk that the line will break if you abuse in using it. But there's no big deal about it because you won't be abusing it in the first place. 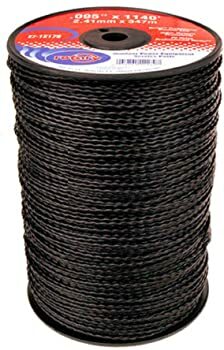 The Rotary Black Vortex Trimmer Line is another product we recommend. Its line diameter is 0.095 which is thick enough to trim down thick weeds and grass. This one's spool is fairly long as it has a length of 1,140 inches. It also weighs 5 pounds, so you're guaranteed that you've got a lot of spare trimmer lines in store. 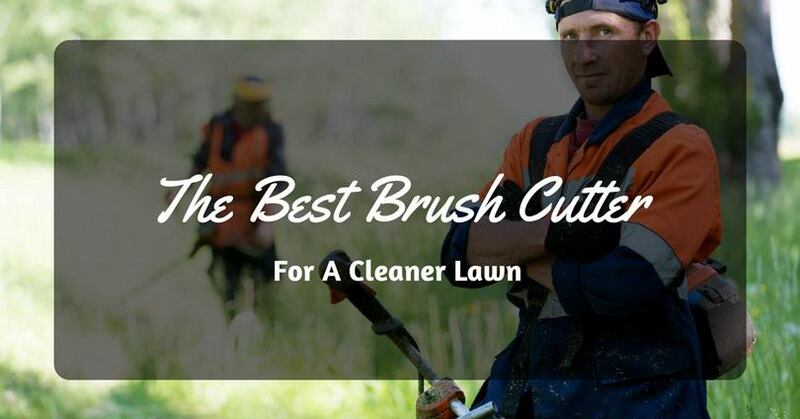 It has a layered texture which makes it easier for your trimmer to cut through thick grass and weeds. The quality of this trimmer line is superb because of its thickness and material construction. The price is also reasonably affordable. It’s one of the cheapest trimmer lines in the market even though it features great durability levels. It can accidentally cut a few pieces from your echo trimmer head. You might experience compatibility issues if you're going to install it in a different brand of the string trimmer. Out of the five reviewed products, the best trimmer line is the Oregon Gatorline Professional Square, String Trimmer Line. 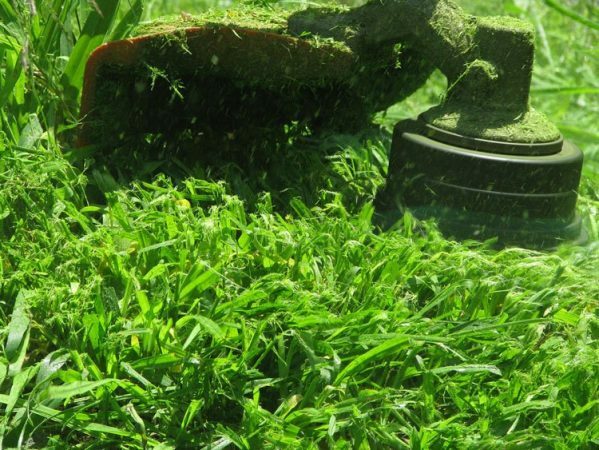 It is fully capable of taking on thick weeds, is thick, is made of high-quality material, and it makes the whole trimming process easier for you. It's what you need to get if you want to make your trimming job easier. Though there might be a few downsides just like the risk of it breaking when you've abused it, it won't happen in the first place if you just use it properly. 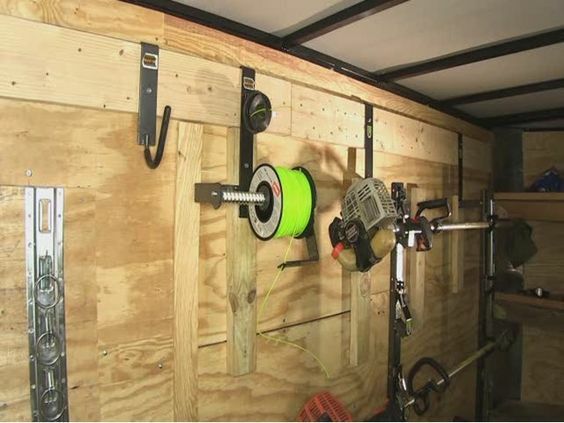 So if you want to make the most out of you string trimmer line this is what you need to have. So get one now and see how cool it is to have one.